Here at The Hub we will create a bespoke experience to ensure you have a relaxing, enjoyable visit tailor-made to your requirements. 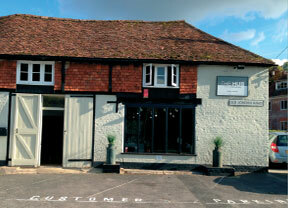 Owner Adelle Glibbery leads the Stockbridge based hairdressing salon and welcomes you to The Hub. 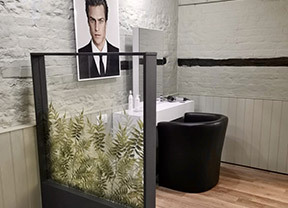 The Hub provides ladies hairdressing and mens haircuts in Stockbridge and also attracts discerning clientele from the surrounding areas of Andover, Winchester, Romsey and Salisbury. Our talented and creative stylists will strive to satisfy your exact needs, providing speciality consultations upon request for hair and scalp diagnosis. We offer speciality treatments to suit problematic scalps and care concepts to prevent hair loss. The Hub is dedicated to providing an excellent experience for all our hairdressing clients through customer care, well trained professional stylists and the use of quality products. Download the latest edition of Salon Beauté here. 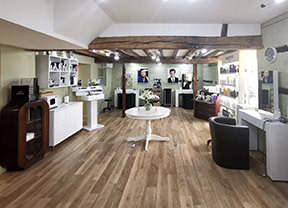 The Hub was born in 2015 after Adelle decided the time was right to open a hair salon dedicated to excellent service in hairdressing, a long-term dream. Originally trained in London's Bond Street and perfecting her craft at Mod's Hair in Paris. She then went to work in Australia and New Zealand also enjoying editorial work for titles such as Country Life, Essex Life and working on music videos and fashion shows. Adelle believes her in-house hairdressing training for stylists and future local apprentices, with focus on customer care and new techniques, will further enhance her own reputation and develop The Hub as Stockbridge's first choice hairdressing salon. "Beautiful hair is everything: the greatest luxury and our simplest accessory." - La Biosthetique. Adelle looks forward to welcoming you to The Hub very soon.